FINALLY. Finally finally finally FINALLY! Okay, folks, here it is! It’s no big deal for Dorsey Wegman to agree to fetch one of Mackenzie Wilder’s new boats. She takes on lots of small jobs for her friends, especially if they can pay well like the Doc. But this one has gone loopy. The boat that was supposed to be ready for the water, isn’t. The boatwright that was supposed to work on the boat is missing. And … “…Doc? There’s a dead woman on board your boat. The police have impounded it, and I can’t leave until they have a handle on what’s going on. They’ll be calling you in about a half hour, they said. Doc, what should I do?” Mackenzie hotfoots it to New York’s North Country and finds herself and Dorsey required to stay and help investigate. 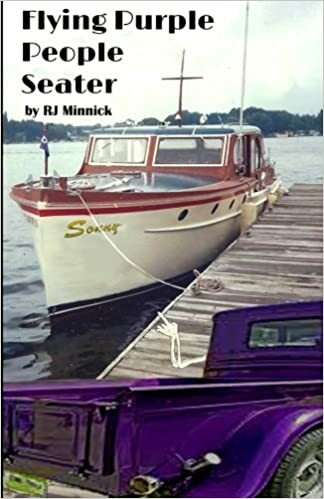 Mackenzie’s professionalism soon outweighs the aggravation to local law enforcement as they work together to learn who would bother to kill the lady minister of a tiny church on one of the Thousand Islands. In fact, her skills and attitude reap an instant mutual attraction with sharp, charismatic CGIS Agent Aidan Ghee. And now Mackenzie has three problems. Who killed the woman aboard her boat? What does the Governor asking her to stay and figure this out have to do with the subsequent bodies that turn up – or with Lt. Bryan Jamison’s sudden lack of communication? And is she ready to commit herself for life to Bryan ?